Don’t wind up on the side of the road. Know when to replace a car battery before it fails. A dead battery can put a serious crimp in your plans for the day. 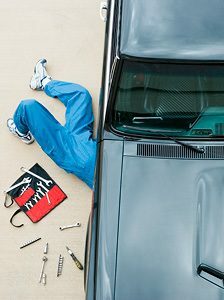 You either need a jumpstart from a friendly passerby or a call to AAA Roadside Assistance to get you back on the road. But there is a way to avoid that situation entirely. Rather than being surprised when that trusty battery fails, practice good car battery maintenance. Not only will this keep your battery in working condition longer, it will help you figure out when to replace a car battery rather than waiting for it to fail without warning. Ever had a battery leak inside of a plastic flashlight and had to toss the whole thing? It’s not pretty. Battery acid is caustic, so it’s not something you want to get in your eyes or on your hands. 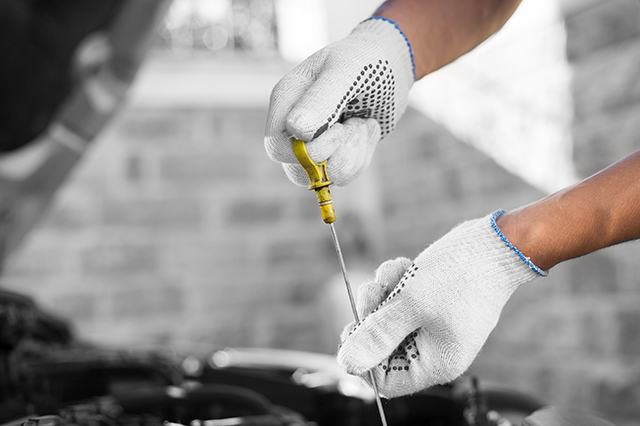 Before you do any kind of car battery maintenance, put on protective eyewear and a sturdy pair of gloves. Open the hood and take a look at your battery to see if there is any visible corrosion. It’s a sort of crusty, white coating that you’ll find around the battery terminals. This can easily be cleaned with a simple mix of one cup of water with one tablespoon of baking soda, along with a small wire brush. Start by disconnecting the battery cables – negative first, then the positive cable. Once the cables are disconnected, use the water and baking soda solution to clean off any corrosion. You should also clean off the battery terminals to remove any signs of corrosion there, too. Purchase a battery terminal cleaning tool to make the job easier. Once the terminals are clean, there’s one more step you should complete to keep them in good condition. Coat them with a dedicated battery terminal spray, to prevent corrosion. Using grease can attract dirt and that combination can cause the battery to discharge over time. If you notice a buildup on the terminals, that’s your cue that it’s time to give them a good cleaning. Now that your battery is clean, remove the covers from the battery cells to expose the fill holes. The covers are different in different batteries. Sometimes it’s a single piece of plastic you simply pry off. Other times each hole has its own cover that you twist off individually. Some low-maintenance batteries may not have filler caps at all, which means that this step is one you need to skip for your battery. If your battery does have removable fill caps, you should be able to see down inside of your battery once you’ve taken them off. The fluid in there is an acid and water mixture and it should come up just to the bottom edge of the holes. If it’s any lower, then you need to add clean, distilled water to the mix. Be careful not to overfill. The mixture inside your battery is caustic. If it spills out it will burn your hands and can damage the paint on your car. Only fill to the bottom edge of the holes. If you overfill the battery, wash everything off with plenty of fresh water. You can test the voltage with a tool called a voltmeter to get an idea about the condition of your battery, although a voltmeter won’t give you the full picture of the overall battery condition. There are dedicated battery testing tools that will tell you the overall condition of the battery. 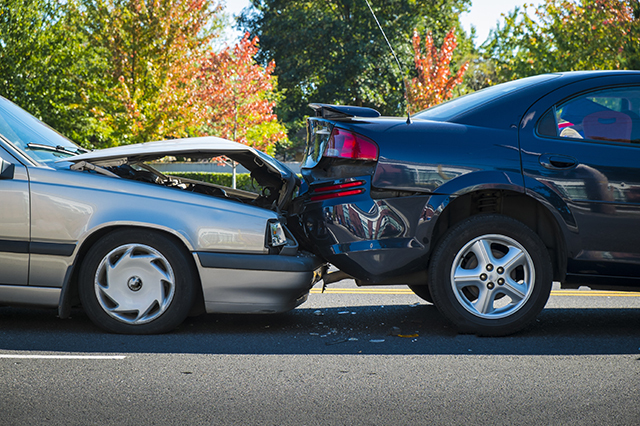 You can also locate a AAA Approved Auto Repair Facility that can help you with the job. It’s a simple check and you can even ask to have it done when you’re getting an oil change or other repair work. 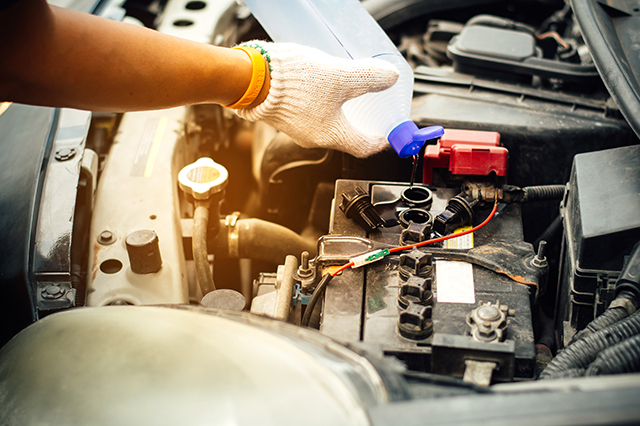 Checking your car battery should be a part of regular car maintenance. The typical life of a battery in the northeast is just under five years. If your car’s battery is more than three years old, have it professionally tested, and if it is five years old consider having it replaced. Add it to your checklist today and save yourself the headache of a dead battery later. Is battery maintenance on your car care checklist? Let us know in the comments! To have a professional check the condition of your battery – and replace it on the spot, if necessary – click here to learn about AAA’s Mobile Battery service. This post was originally published in January 2018 and has been updated. 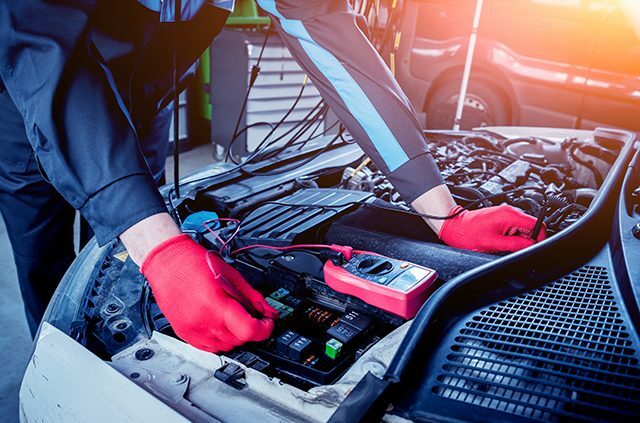 Article tags: a car, a car battery, AAA, aaa roadside, aaa roadside assistance, aaa services, battery, battery terminal, car, car battery, car battery maintenance, car battery purchase, car battery purchase and installation, car care, car maintenance, good car battery, health, roadside, roadside assistance, safety, save.